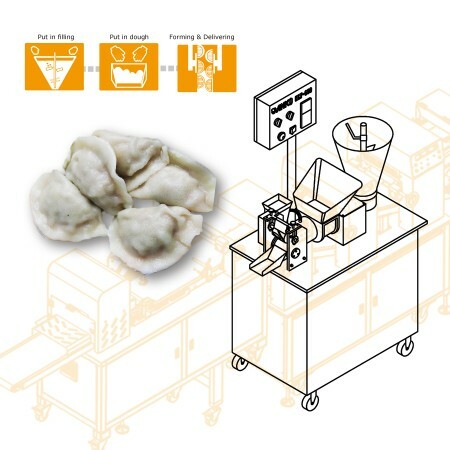 Gyoza Machine and Equipment - ANKO High Efficiency Gyoza Production Equipment Design | ANKO FOOD MACHINE CO., LTD.
Jiǎozi 餃子 or 饺子 (Chinese transliteration), gyōza (Japanese transliteration), Mo:Mo: or Momocha म:म: or ममचा (Nepali transliteration), or pot sticker is a Chinese dumpling widely spread to Japan, Eastern and Western Asia. Jiaozi typically consist of a ground meat and/or vegetable filling wrapped into a thinly rolled piece of dough, which is then sealed by pressing the edges together or by crimping. Jiaozi should not be confused with wonton: jiaozi have a thicker, chewier skin and a flatter, more oblate, double-saucer like shape (similar in shape to ravioli), and are usually eaten with a soy-vinegar dipping sauce (and/or hot chili sauce); while wontons have thinner skin, are sphere-shaped, and are usually served in broth. 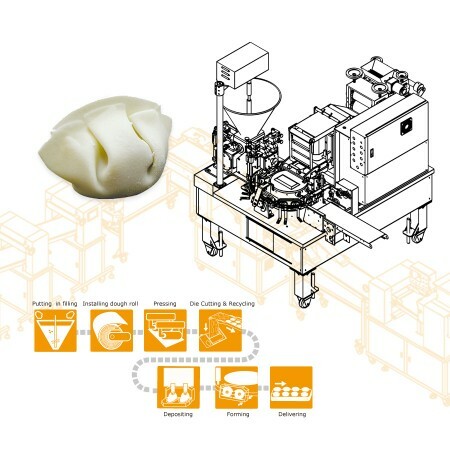 The dough for the jiaozi and wonton wrapper also consist of different ingredients. 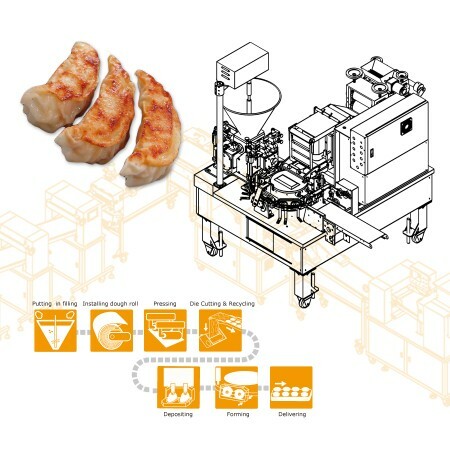 The machines listed below are designed for making Gyoza. Please feel free to contact us via the form below. We will happy to answer any questions you may have regarding our products, services, and turnkey projects.